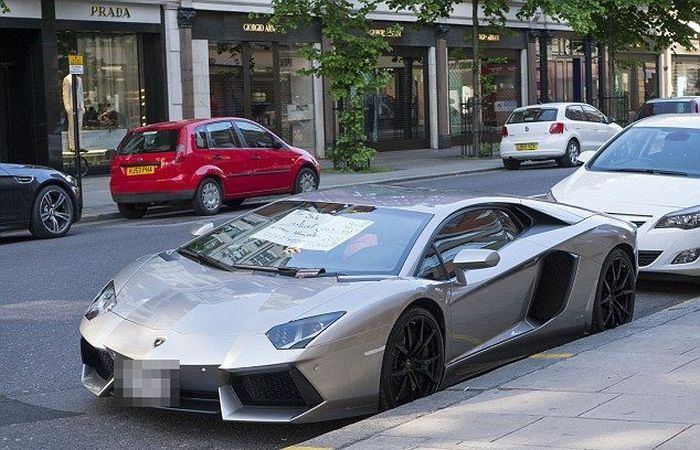 Lamborghini Aventador in a street of London. I'll trade ya' for an old Ford F-150 and a half bottle of 'Zest for men', 'High Intensity', 'Atomic, Pheromone Enhanced, Body wash' ... ? .... and a $5 gift card to starbucks. If you don't want it .... I'd be happy to take it off your hands. To post that in England, He should have a sign in English as well. 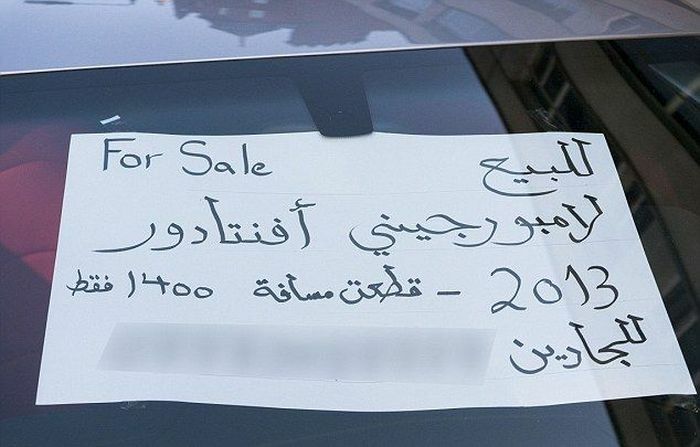 If you should ask the price, you do not have that kind of money to start with. i don't understand how much is this? 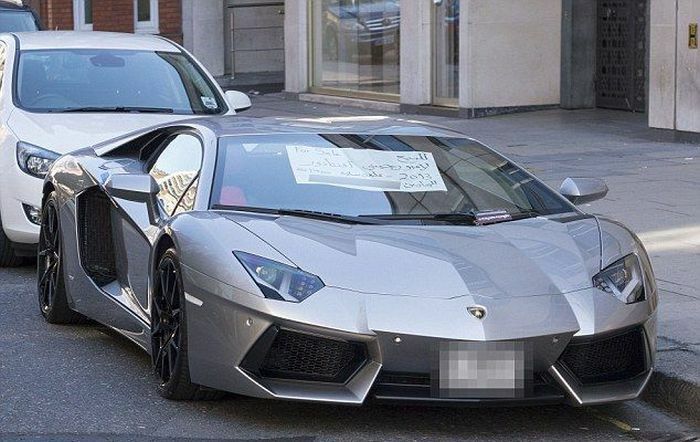 It says : For sale , Lamborghini Aventador2013 , 14k KM only , only serious buyers . So far 2 comments from people who know what this post is about. It seems there is some lack of Geographical knowledge from the rest of the people posting here. Heres a hint for those people: London is in England. They speak English there.